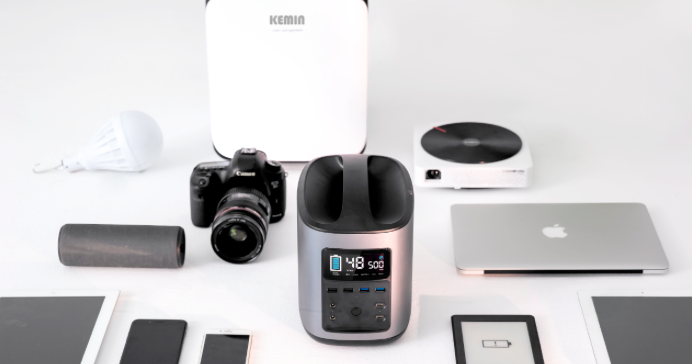 The Mother Of All Portable Batteries Can Charge Your iPhone 7 Over 61 Times | OhGizmo! If you’re going to buy a relatively bulky power supply, why not go for one with a capacity so huge it could charge your iPhone 7 over 61 times? 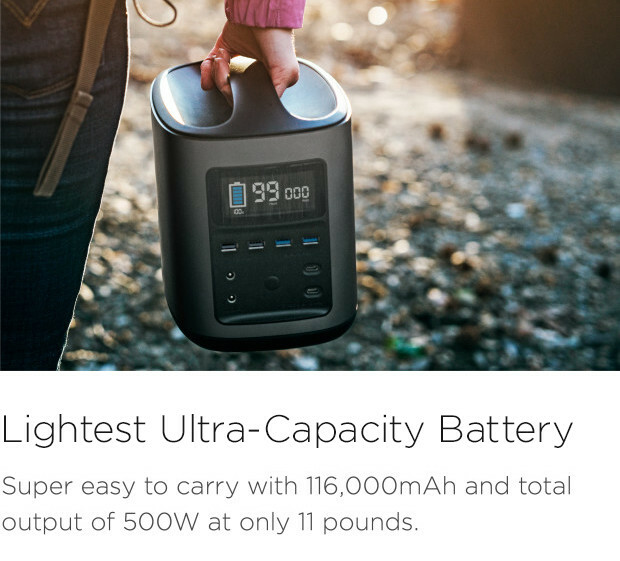 That’s exactly what the River Mobile Power station is capable of, thanks to its massive 116,000 mAh capacity. Not only does it have a huge capacity, it can also output up to 500W from a array of ports, allowing you to power up to 11 devices simultaneously. What ports does it carry? It’s a “smart” system, that allows RIVER to 1) automatically adjust the power output to the Wattage your device needs, 2) regulate temperature so devices don’t shut down by starting a fan if too hot, and informing you if it’s too cold, and 3) connect individually to each of the 11 output ports so if one were to short circuit or max-out the other 10 would continue charging. Weighing in at a hefty 11lbs (5kg), it’s definitely not light weight but still isn’t so heavy as to not be portable. Prices start with a $459 Early Bird pledge and are expected to go up to $699 retail. Shipping starts in June 2017.